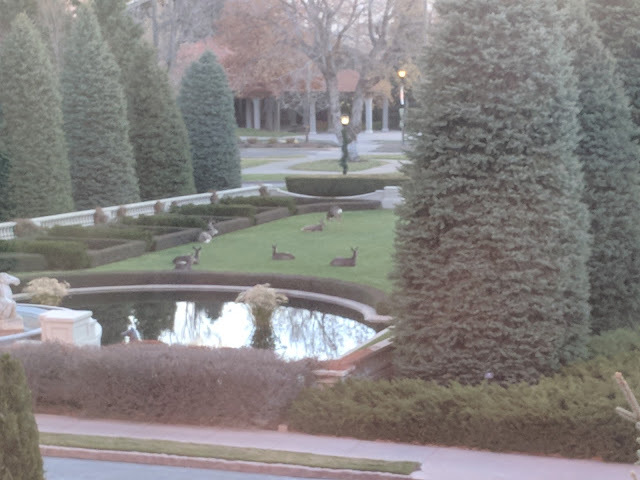 I would stay at the Broadmoor Hotel in Colorado Springs 10 out of 10 times. 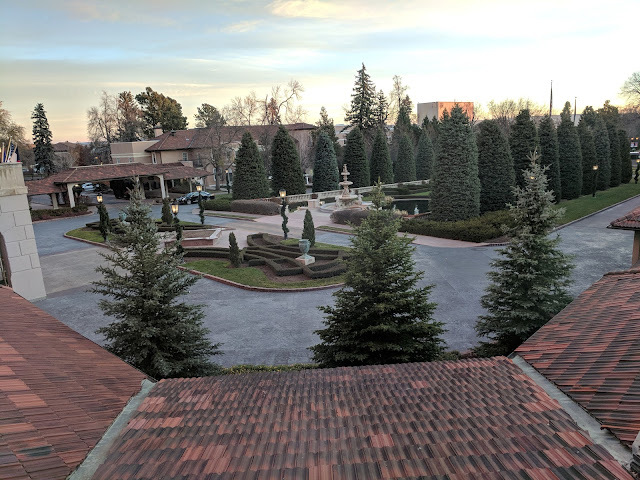 I posted about my stay at the Broadmoor back at the beginning of the month when I added it to the coaster collection. As I mentioned in that post, I only stayed one night at the hotel and it was far too short of a stay. I arrived late in the evening after dinner and headed out for an early flight in the am. But, I woke up early and strolled some of the property to take it all in. 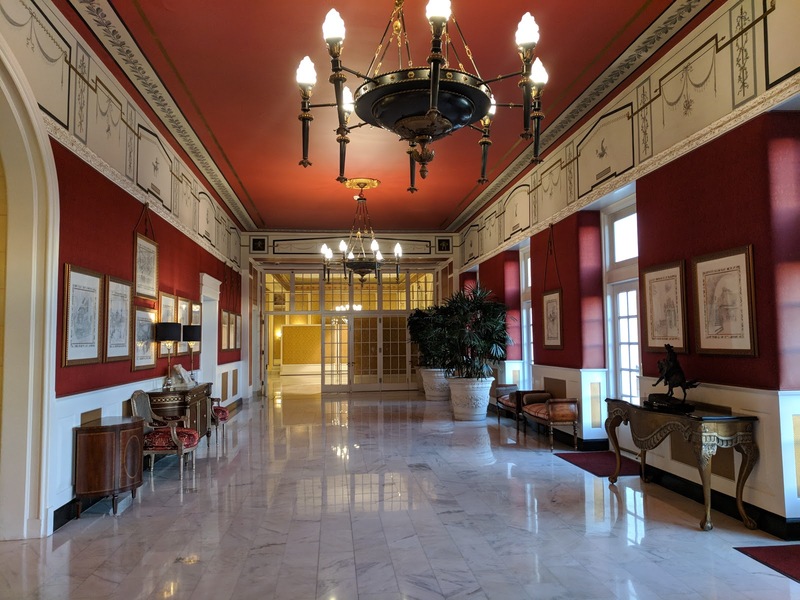 When Spencer and Julie Penrose opened The Broadmoor in Colorado Springs, the master plan was to create a place where European elegance met Western hospitality in the perfect blend of style and service excellence. More than nine decades later, their vision is intact and their dream is still alive. 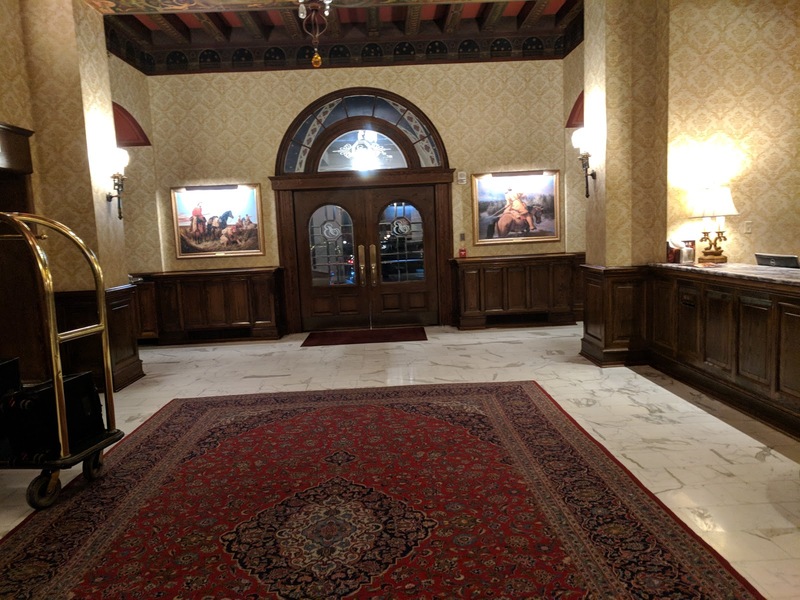 Since The Broadmoor opening, it has been the destination of a long list of presidents, statesmen, foreign dignitaries and celebrities. 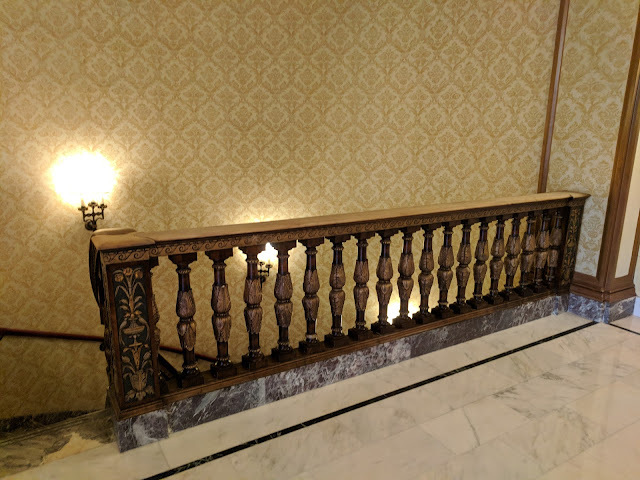 I *do* love a good, historic hotel. And once I found out that the folks that own Sea Island are the same folks who own the Broadmoor, I think I was smitten. You guys know how I feel about Sea Island, right? Closest thing to Heaven on Earth. 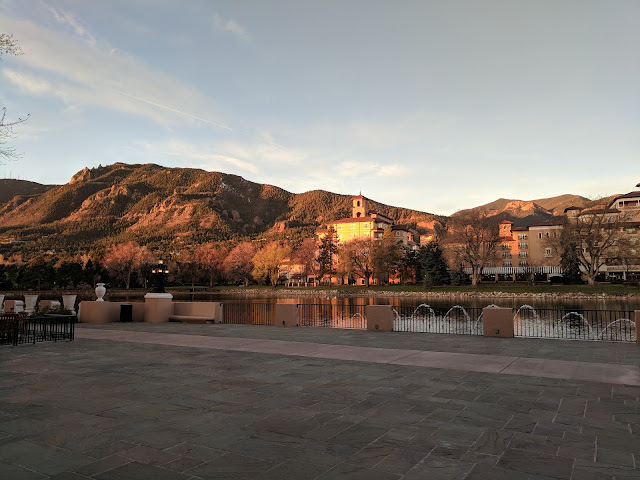 The Broadmoor is different, but evokes a lot of the same feelings for me. In the photo above, you can see the view out the back of the main hotel building where you can take in the mountains, Cheyenne Lake and the other hotel buildings. The interiors of the hotel are still mostly untouched and left intact with massive, wide spaces and hallways, weird half-floors with staircases (this place seems totally un-ADA-accessible in many parts of the building), and too big, funny-shaped rooms that wouldn't exist if the hotel was built today. It is a grand place. In fact, the Broadmoor just won 'historic hotel of the year' this past year. Here's some photos of the smallish lobby, the top of the main staircase and the main foyer on the second floor. This set of photos doesn't do the place justice. It seems like most of the stuff that was built in 1918 is still there, which is awfully sweet. Seriously? Deer and other critters (antelopes maybe??) hanging out on the front lawn? Amazing. I immediately came home from the trip and told Nat: we *have* to come back here. I think I could do it either way: just the two of us. Or with the kids. Are you looking for a get away? Do yourself a favor and give the Broadmoor Hotel in Colorado Springs a shot. Book a direct flight from ORD to Colorado Springs if you're lucky, too!